The Mayan calendar wasn’t exactly accurate when it said that we should be gone by the 21st of December last year. But come to think of it. What if doomsday is really just around the corner? Are we going to survive it or should we just accept our fate that is death? Now, here are a few handy tips on how to survive the apocalypse called Patong, The heart of Phuket’s nightlife. Locate food stalls. – Unless you’re the extravagant traveler, you might want to stay away from the expensive restaurants around Patong. One of the first few things we looked for upon arriving in Patong are those cheapo food stalls that sell sumptuous Thai food for less than 100 Baht. This was where we have been eating most of our dinner in Patong. Not only it serves delectable Thai food, it also is inexpensive. A 20 Baht iced coffee over a Php200 overpriced cappuccino in a-coffee-shop-I-won’t-tell. Rent a motorbike. 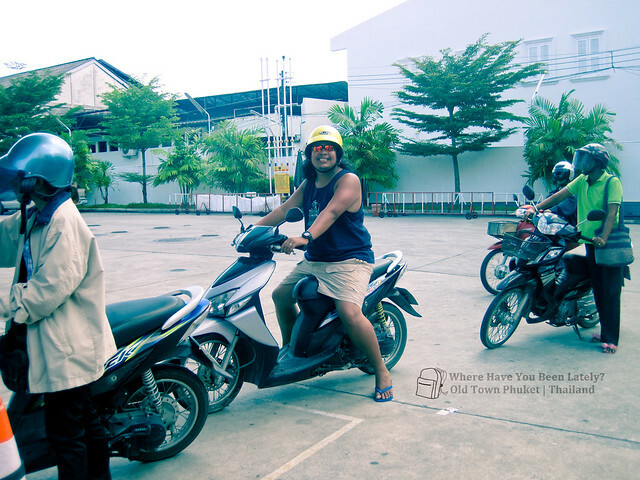 – Motorbikes are popular in Patong and can be very cheap mode of transportation. 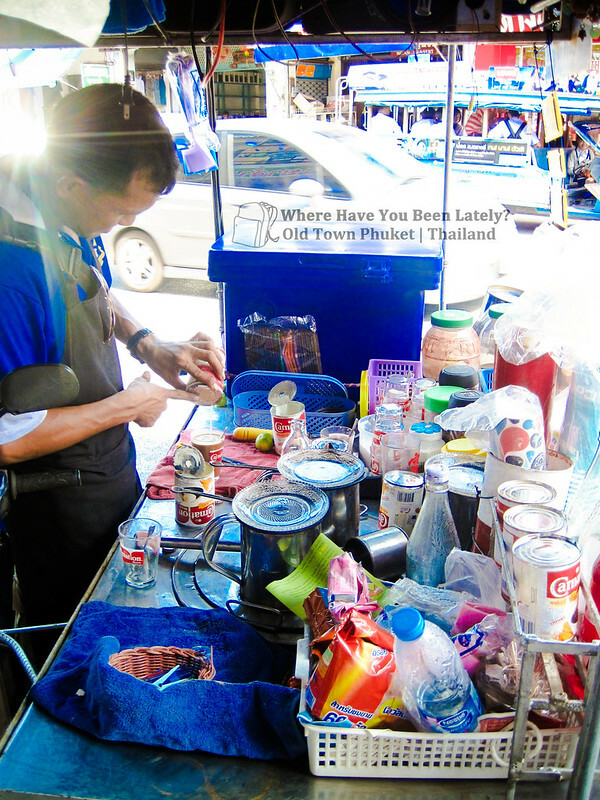 Rental fees of shops/stores/lodges/hotels vary from 100 – 200 Baht for 12 to 24 hour use. A liter of gasoline ranges from 30 to 50 Baht. So instead of hiring a chintzy private cab or even riding a public bus, why not explore the town at your own inexpensive convenience? We only spent less than 200 Baht for our motorbike ride for one whole day exploring the towns of Patong and Old Phuket. 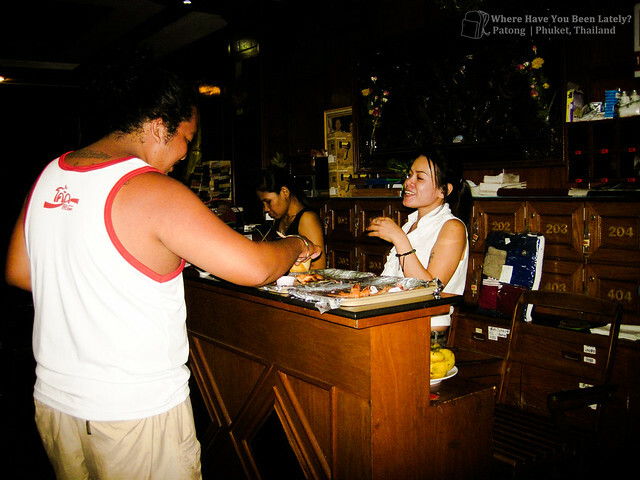 Haggle for your island hop tour. – Yes, DIY island hop tours in Patong are great but will definitely consume more of your time (especially when you’re on a short vacation) and can sometimes be more expensive. This is just one of the moments when it is best to rely on travel agencies. 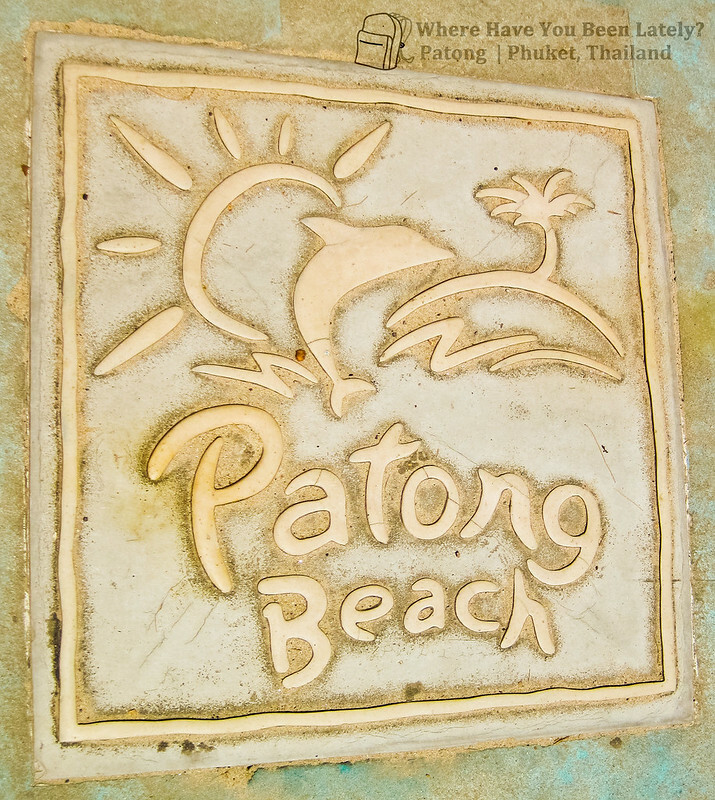 In Patong, most of the travel agencies are located in Thanon (Road) Taweewpmg which is just across the Patong Beach. If you find the price of the tour that’s being offered by the travel agency a little over your budget, just proceed to the next stall and ask if they can match their competitor’s rates or come up with a better deal. That’s how we got our 800-Baht island hop tour on a jet ski with lunch buffet and snack included. Patong Beach which is just in front of Thanon Taweewpmg where most of the stores, restaurants, travel agencies, and money changers are found. Walk and shop. 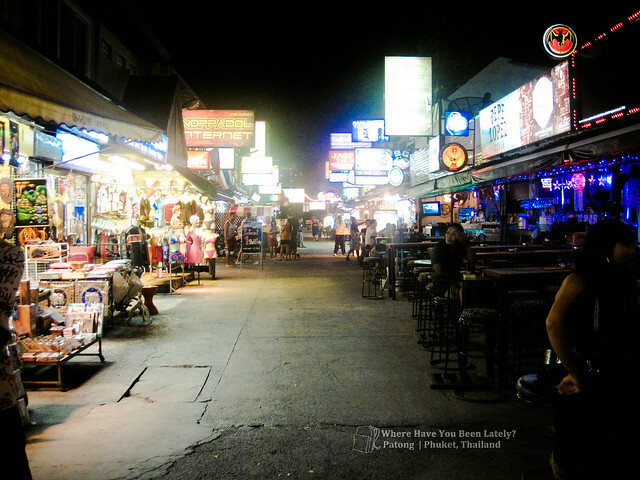 – Not all the good finds are in the major roads and streets of Patong. There are several stalls and shops within the tiny streets of Patong that not only have better items but also are cheaper than those you can see along the major streets. One of the Sois (streets) along Bangla Road that have loads of stalls and selling goodies, souvenirs, and everything you can think of. Have your money changed in Thawiwong Road. – Sure, there are a lot of currency changers in Patong but most of them have higher rates than those that can be found in Thawiwong Road. Always compare the rates before having your money changed into a different currency. These money changers usually close at 10PM. 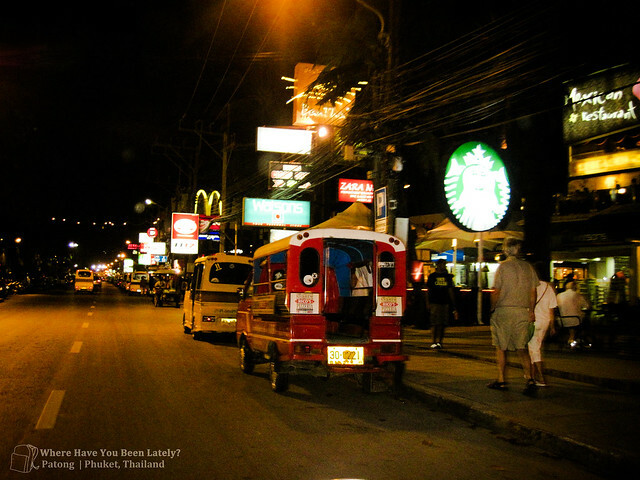 I’m not certain how many Starbucks there are in Patong but once you see this, you’d know you are in Thanon Taweewpmg and not lost. Grab a map. 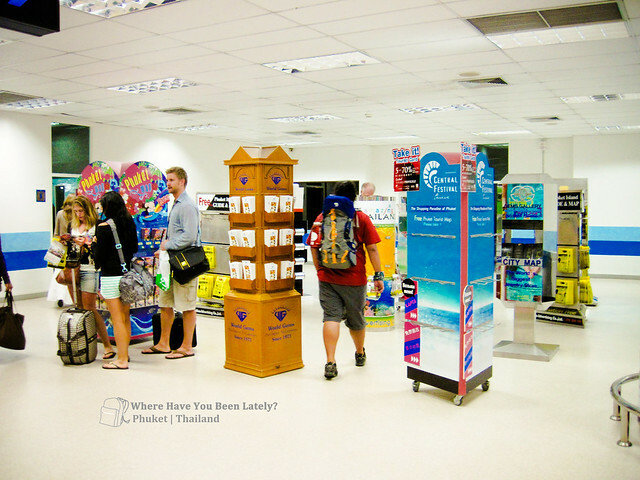 – The Phuket airport has a section with several stands filled with maps, brochures, and leaflets about Phuket. The good thing about this is, THEY’RE ALL FREE. So grab as many as you can as these pieces of paper can be a lot of help as you go on with your Phuket vacation. Familiarize yourself with the street names and their locations. Getting lost? Worry no more! Grab as much as you can! Photo taken inside the arrival area of Phuket International Airport. Converse with the locals. – Compared to its neighboring countries, Vietnam and Cambodia, I can say that Thailand has a higher rate of English-speaking locals. 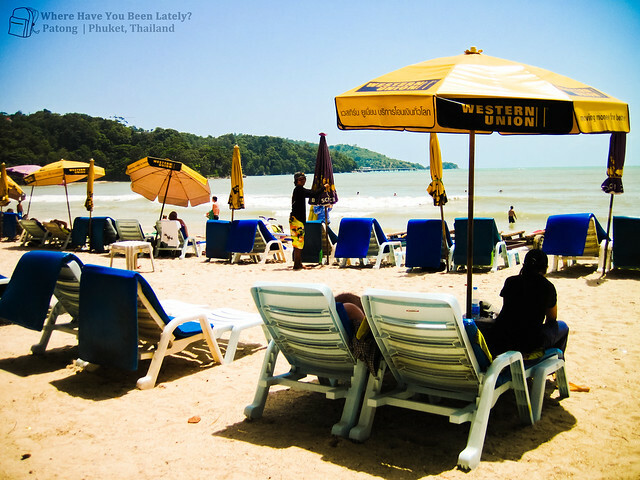 Have a little chit-chat and learn more about the best places and spots in Patong. We have a lot in common with the Thai people; they even idolize our very own Manny Pacquiao. Just bear with their heavy clogged nose-like accent though. One of the tour guides during our island hop activities who made our day nothing but fun. Allan K? Rowjie was given a plateful of seafood by the hotel receptionist who thought we were cool. Apocalypse or not, it’s always best to be prepared even if it’s just in Patong. Accommodation is rather expensive during the peak season with simple air-con rooms ranging from 500-1500 baht; fan rooms start around 300 baht but availability is limited. 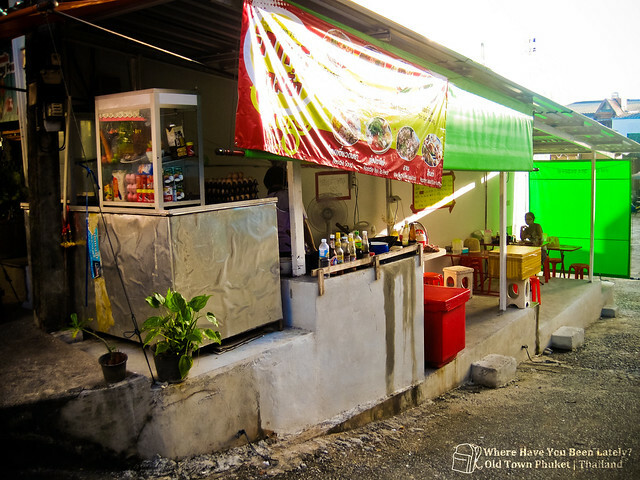 In the low season, air-con rooms are easily found from around 300 baht and up. You can usually get at better deal for the more expensive rooms by using one of the local travel shops. It pays to haggle with them. Normally I can’t understand write-up about websites, however would want to point out that this kind of write-up incredibly required my family to take a peek from and do it! A person’s writing style has been surprised us. Appreciate it, very great report.